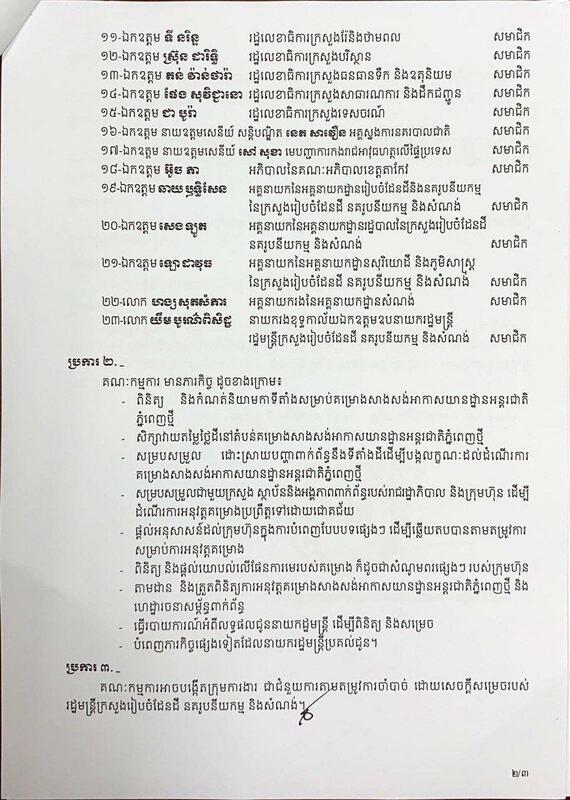 Phnom Penh (FN), Feb. 20 - Cambodian Prime Minister Hun Sen decided to setup a committee in charge of constructing the new airport in Kandal province’s Kandal Stung district, according to the government’s decision dated Monday. 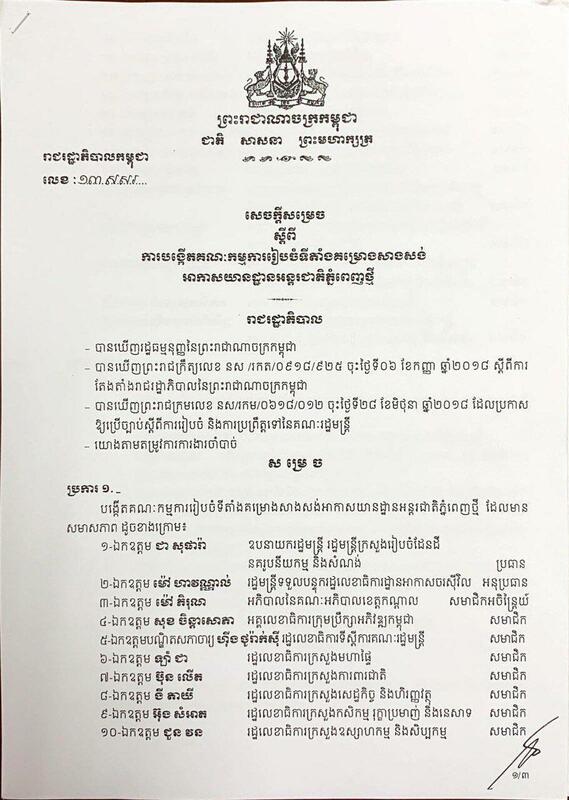 The committee will be headed by Minister of Land Management Chea Sophara. 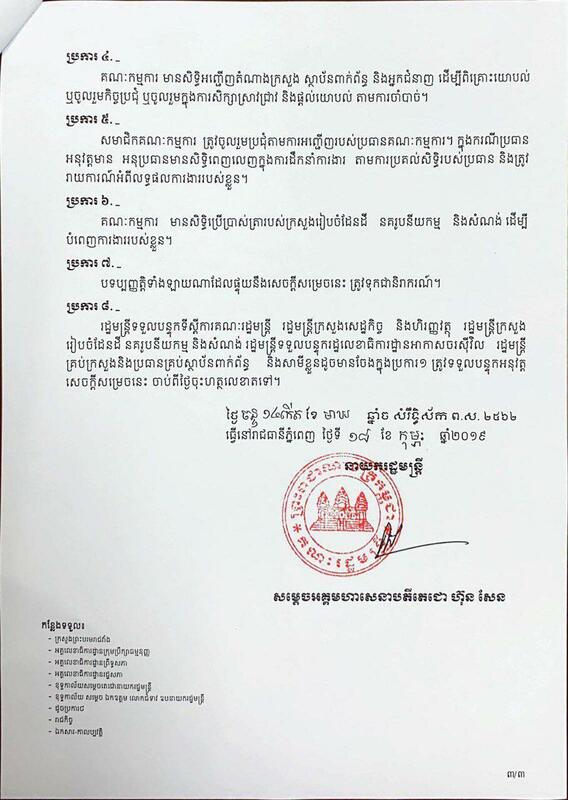 "France’s Vinci, a company overseeing airports in Cambodia, never expects the high growth of tourists travelling by air to Cambodia, now they [Vinci] strongly supports Cambodian government to construct new airports in Phnom Penh and Siem Reap, as the current ones will not be able to accommodate the estimated 12 million tourists by 2025,” Prime Minister stated late November when meeting workers in Kandal province. Cambodia will construct a new airport on a 2,600 hectares plot of land. The project was announced on 11 January 2018 during a signing ceremony of investment project between Pung Khiev Se’s Overseas Cambodian Investment Corporation (OCIC), and Chinese company, presided over by Chinese Prime Minister Li Keqiang and Cambodian Prime Minister Hun Sen. The new 4F-type airport, capable of accommodating Airbus A380-800 and Boeing 747-800, will cost around US$1.5 billion; US$1.1 billion is the loan from foreign bank, US$280 million is the investment of OCIC Company; the rest 10% is from the government.